Surely if we accept that all that exists comes from nothing, but that God simple spoke and it all came to be, and there was afterwards something, then we must accept that there is nothing that is impossible for God, or remotely 'tricky'. For those who claim to believe in God to deny the Virgin Birth because 'that is impossible' means they don't really believe in God because in human terms neither can anything be created 'out of nothing'. There is a logical inconsistency about modern day denials of the supernatural from within the Church, not just outside of it from sceptics. I would say that once you have created an entire Universe 'out of nothing', nothing is impossible or difficult. These days we seem to have a problem with belief in various articles of Faith and it is not just on the matter of the Perpetual Virginity of Our Lady. We see it with Faith in the Real Presence, the reality of the indelible marks on the soul of Baptism and the Priesthood. The supernatural is seen as problematic. God is God. What's the problem? Why can't we just accept that God's action is a Mystery in which we can believe without comprehending? If we cannot accept that with God everything is possible then do we rather believe in a god-type person or a figment of our imagination, a caricature of Him that abides by human thinking and exists according only to our understanding of what is and is not 'possible'? The Virginal Birth is an important doctrine because it feeds into our understanding of the Person of Christ. Is this Person truly the Son of God, 'born from the Father before all ages', whose Throne is in inaccessible light, the Eternal Word, the Second Person of the Trinity, or just another man? ...with all that said, I wish readers a very happy, holy and blessed Christmas. In the bush which Moses saw unconsumed, we acknowledge thy admirable virginity, preserved: intercede for us, O Mother of God. A blessed Christmas to you and keep fighting the good fight of faith. Thanks for your many inspirational posts. Wishing you a very happy Christmas and New Year. May blessings abound for you and your loved ones this Christmas. May we all keep the Faith! And a merry Christmas to you, and a happy and prosperous new year! What does it mean to remain a virgin during birth? Perhaps that, because she was immaculately conceived, she did not suffer the birth pains that are due to Eve's sin? 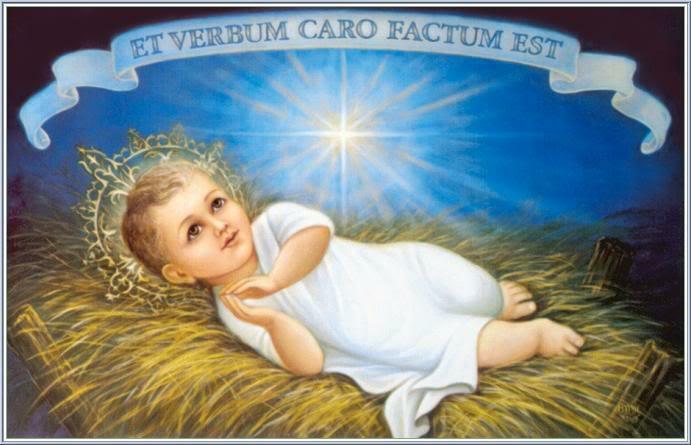 Catholics are not as well prepared as they ought to be regarding the centrality of the virgin birth. I came across a first-rate defence of the miraculous nature of Our Lord's conception in a book by Gresham Machen, 'The Virgin Birth of Christ' first published in the late 1920s. A Calvinist theologian in Westminster College in Philadelphia, Machen shows how Saint Paul's Christology is consistent with the two accounts of Mary's conception through the power of the Holy Spirit. Christ, before his Ascension into heaven, tells the Apostles to wait in Jerusalem, because he will send the Holy Spirit. As at the Annunciation, so at Pentecost. The same Holy Spirit. Incidentally, I found Gresham Machen's great work in a bookshop run by the Free Presbyterian Church of Scotland. What a pity Catholic seminarians were not taught using Gresham Machen instead of the modernist nonsense of Rudolph Bultmann.